2008 Vauxhall Vectra: Who needs drivers? 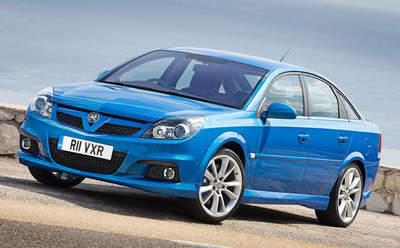 Home » Cars » 2008 Vauxhall Vectra: Who needs drivers? Vauxhall says that it’s new Vauxhall Vectra set to debut in 2008 will be the first car in the world to actually drive itself. Vauxhall’s Traffic Assist technology makes use of lasers, video cameras and a computer to detect the road curves, spot warning signs, determine lane markings, and most importantly, detect other vehicles so you don’t crash into them. An onboard computer processes data fed in through the many sensors and controls the throttle, steering and brakes – that’s basically driving the car! GM also has other innovative technology in it’s pipelines. It is developing body panels which repair minor dents and blemishes itself. A special alloy is used which heats up as an electrical current is passed through it. When the panels cool down, the small dents and marks are removed in the process.